Through the use of the Andrew robot, Andrew Alliance aims to eliminate the possibility of human error and increase reproducibility and accuracy in scientific data – leading to conclusions and outcomes that can be trusted. What’s Andrew Alliance’s mission? What makes you different? Our mission is to empower researchers in life sciences to see better reproducibility in the lab, resulting in better data and more reliable scientific experiments. To accomplish this, we provide laboratory automation in the form of liquid handling robots that combine the knowledge of scientists at the bench with industry-best automation to create better data, and as a result, better science. Unlike other robots, Andrew doesn’t require a scientist to have any prior robotics experience and requires no special programming or engineering skills. What technologies are being used in labs today? What are the alternatives to automation? Many laboratories still rely on manual operations to perform tasks, especially when it comes to liquid handling. Some organizations have begun using electronic pipetting to help increase accuracy and reduce repetitive strain injuries, common among lab technicians due the monotonous nature of liquid handling, but few have implemented fully automated strategies. Automation systems are designed to ensure precision in the lab, taking away the potential for human error and greatly increasing repeatability. What’s the state of lab automation? Are we working toward a fully automated lab in the future? 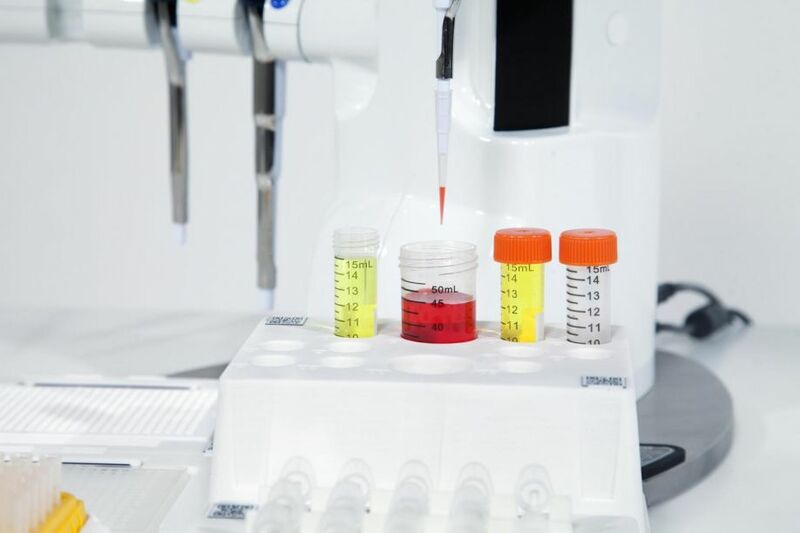 Complete automation exists in the field of diagnostics, but the same hasn’t been achieved in research due to the flexibility and continuous workflow changes required. According to a recent report, the lab automation market was estimated at $3.80 billion in 2017, and is projected to reach $7.08 billion by 2026. This massive growth is happening because biology is moving in a direction where bench and hands-on activities are generating a large amount of complex data, requiring even larger amounts of analysis and bioinformatics. Automating these complex, repetitive and manual tasks allows scientists to focus on more valuable work such as data analysis, while simultaneously improving the quality of results. Does the Andrew robot require any special training for lab technicians? The Andrew robot’s user-interface was specifically designed for scientists, not roboticists, and requires no special engineering or programming skills to operate. With Andrew, any scientist with a biological protocol in mind can easily have the robot execute on the task, increasing reproducibility and efficiency. What specific problem is Andrew Alliance trying to address? The scientific community has recognized a lack of reproducibility as a significant problem – some would even call it a crisis. A recent study found that more that 70 percent of researchers have tried and failed to reproduce another scientist’s experiments, a critical component of the scientific process. Through the use of the Andrew robot, Andrew Alliance aims to eliminate the possibility of human error and increase reproducibility and accuracy in scientific data – leading to conclusions and outcomes that can be trusted. Are there specific applications or areas of focus for which Andrew Alliance is best suited? One application that is well suited for Andrew Alliance’s advanced pipetting robots is research in the pharmaceutical industry, especially as 21st century biology has evolved with DNA changing the way scientists work, requiring new solutions. In this field, it’s all about repeatability and data reliability – metrics that are critical to developing areas of study like immunotherapy and early detection blood tests, which are upending the way treatments for diseases like cancer are delivered. 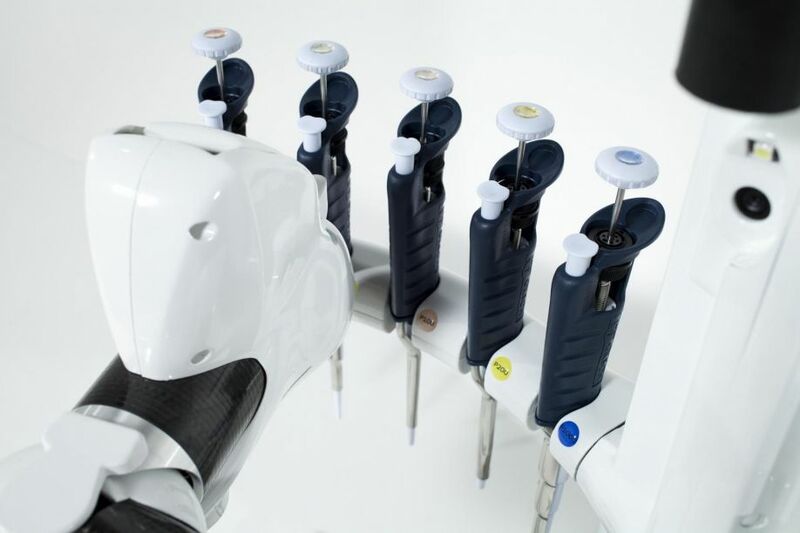 Additional applications for the Andrew robot include genomics, proteomics, diagnostics, drug discovery, chromatography and analytics, sample management and cell biology. You recently closed a $14M funding round – what was the significance of that investment? We’re excited to infuse that investment into new products for the scientific community, but it’s not necessarily the amount of funding that is significant so much as the fact that the funding comes from several noteworthy industry leaders, including Tecan Group and Waters Corporation. Their contributions validate the need to improve repeatability in the world’s top labs with automation. Funds from this investment will continue to drive product innovation to improve repeatability and reliability of data in the lab. What’s next for Andrew Alliance, and the liquid handling robotics market as a whole? 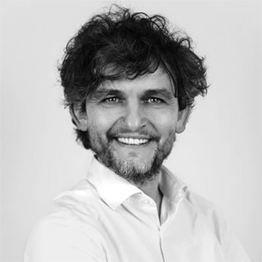 The next step for Andrew Alliance is to integrate its robots even further and connect with tools to increase productivity and efficiency for humans, while still requiring no special skills to exploit the complexity of the laboratory instrumentation. Liquid handling robots, and automation in general, will lead to major strides when it comes to drug discovery, enabling humans to collect, edit and modify the data contained in DNA, something that has been uncharted territory until recent years. We need to be aware that these tools, combined with human intelligence, will eventually enable a thorough understanding of the way a living organism works, with the possibility of changing it. Can you give us a rundown of how a lab would go about installing and commissioning your robotic system into their facility? Andrew was designed for scientists and requires no prior robotics or programming knowledge to operate, so implementation is a smooth process and typically takes just a few hours. It is as simple as installing a mouse: you connect the power and a USB cable. The Andrew software is completely free and doesn't require any prior training. If you know how to execute the protocol by hand, then the software will create the desired robot behavior corresponding to that protocol. What are the ballpark initial and operating costs of the system and what payback can be expected? At $24,000, the Andrew robot is fairly inexpensive compared to similar systems, with no additional implementation costs. Most companies in North America and Europe amortize the investment within a year by simply counting the time saved by operators who can focus on more valuable tasks, like data analysis. But the robot also saves organizations countless dollars when it comes to preventing human errors and performing reproducible experiments with expensive reagents. In fact, one pharmaceutical company that uses Andrew says just one mistake in a production plate can cost the company more than $15,000.